"Good lighting can make an ordinary room loextraordinary and functional." Ambient light and task light are the basics of lighting, while accent light points of interest are highlighted to give the space extra visual appeal. This method of layering the light is important for achieving positive results in all types of living and working spaces. -Task areas. These are best lit with bright, shadowless light. You want to get the fixture close to the task area (in kitchens this would be counters, sinks, and tabletops). -Ambient light is the general, overall light that fills in shadows, reduces contrast, and lights vertical surfaces to give the space a brighter feel. Ambient light is what you need for casual activities in your rooms. -Accent lighting is what gives our space a third dimension, adding to the quality of the space. Accent lighting is used sparingly on those special home objects that we want people to notice and admire. Accent lighting is usually done with spotlights. - More light is not necessarily better. - Match the amount and quality of light to the performed function. - Use task lights where needed and reduce ambient light elsewhere. 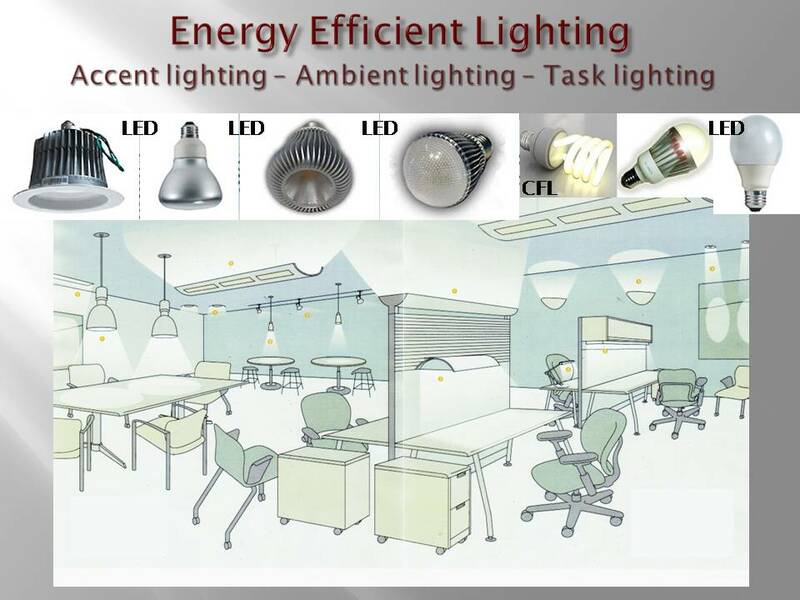 - Use energy-efficient lighting components, controls, and systems. 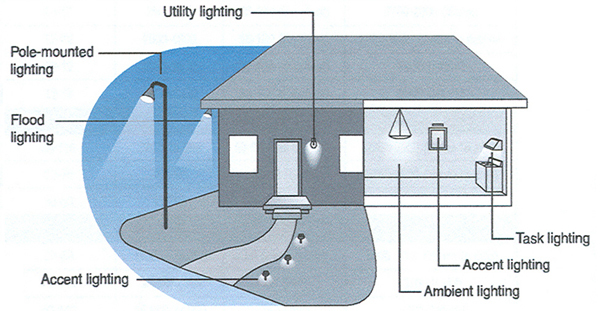 - Security and utility lighting does not need to be bright to be effective. - Consider incandescent flood lights with combined photosensors and motion sensors in the place of other security lighting options. - Establish ambient illumination at minimum acceptable level. 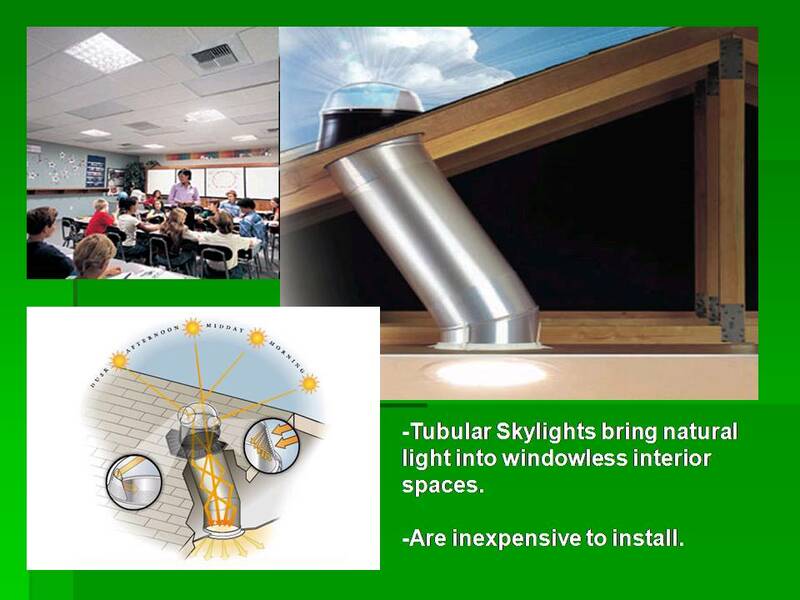 If recessed lights are used in a ceiling with an unconditioned space above it, use only Underwriters Laboratory (UL) approved fixtures that are airtight, are IC (insulation contact) rated, and meet ASTM E283 requirements. - Photosensors to turn off lights during daylight hours. - Motion detectors to activate security or utility lighting when needed. - Ultrasonic sensors detect sound. - Infrared sensors detect heat and motion. - Timers and other controls to turn decorative lighting on and off. PRG TruColor HS Remote Phosphor Lighting that is basically an LED panel that triggers a chemical reaction of some sort in an overlaying panel that can be interchanged for another color blend and outputs a whopping 4000 watt tungsten equivalent of light. That's nice, but it's also expensive at $3500. It is predicted that the U.S. market for LED lighting will grow 300% from 2010 to 2014. Some of these semiconductor devices are already up to twice as efficient as compact fluorescent Lamps (CFLs), and prices are dropping. A new generation of lighting fixtures is being developed to exploit LEDs' pinpoint light source, which permits exquisitely precise optical control, further boosting their energy savings. And new way to control LEDs with minimal wiring, could allow for fine-grained control of buildings' lighting and significantly reduce both energy and capital needs. Meanwhile, next-generation LEDs that replace semiconductors with organic compounds, called OLEDs, are already appearing in cell-phones and cameras and could make super­efficient, higher-quality televisions widely available.